One of the biggest bestsellers of all time, and one of the first and most influential spy novels of the twentieth century, this delightful romp is now back in print after fifty years. Taking place just after the Russian Revolution shook Europe to its core, it tells the story of Lady Diana Wynham, who relishes trampling on the sensibilities of British Society with her cross-continental escapades, and her secretary, Prince Gerard Séliman, the perfect gentleman, equally at home in an Istanbul bazaar or a London charity matinée. Faced with the prospect of financial ruin, Lady Diana launches a plan to regain control of her inheritance, a field of oil wells seized by the Soviets. She dispatches Gerard on the Orient Express to take care of the matter. As he travels across Europe, his path is crossed by Soviet spies, old loves, the ominous Tcheka (Russia’s new secret police force), and a disturbing dearth of toast. Will he live to sniff a tea rose again? 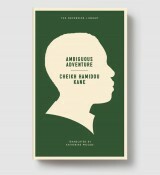 Written in a prose as light and effortless as an Astaire-Rogers routine, Dekobra’s style—which earned its own adjective, dekobrisme—combines fiction with the author’s firsthand experience of the turbulent political and social realities of the time, as well as a prescient revelation of the darkness behind the revolution. A predecessor to Alan Furst (whose characters are often observed reading The Madonna of the Sleeping Cars), Ian Fleming, and John Le Carré, Dekobra’s Madonna is still as fresh a page-turner as ever—and as fun. MAURICE DEKOBRA was born in Paris in 1885 and first became known as a subversive journalist before becoming one of Europe’s biggest bestselling novelists in the 1920s and ’30s. He taught at the University of Berlin, shot big game in Africa, canoed on the Nile, and translated Defoe, Jack London, and O. Henry (among others) into his native French. In Europe, he remains an author of great renown—even meriting his own adjective, dekobrisme, for his stylistic invention. 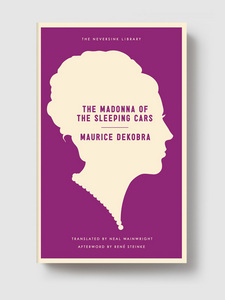 NEAL WAINWRIGHT translated many of Maurice Dekobra’s books and the two became close friends—so close that Dekbobra dedicated The Madonna of the Sleeping Cars to him. RENÉ STEINKE is the author of the novels The Fires and Holy Skirts (2005 National Book Award finalist), a fictionalized account of the life of the artist Baroness Elsa von Freytag-Loringhoven. Her articles have appeared in the New York Times, Vogue, Bookforum, TriQuarterly and elsewhere, and she teaches writing at Fairleigh Dickinson University.